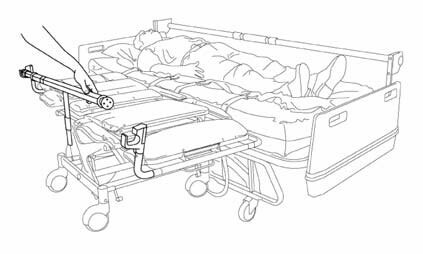 American Medical Equipment understands the risks associated with laterally transferring a patient as well as the need to do so on a daily basis. This is why we have developed several unique products to help ensure this common task is just that: common. The care-givers are provided a much safer and effective method of doing their job and the patient is put at ease with the ease of which they are transferred. The Cardio Stretchchair Bari660 Convertible Chair series offers a multitude of capabilities within a single product. 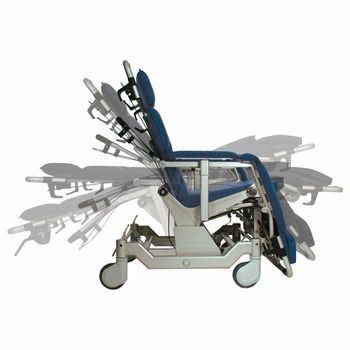 Designed to allow a single care-giver to easily and safely transport and reposition a patient, the Barton chairs can perform the functions of stretcher, mobile chair, and custom seating. Tested and proven in hospitals and nursing homes, the system reduces the time and number of caregivers required to transfer a patient. Consistent and proper use of the system can lead to a dramatic reduction in injuries. 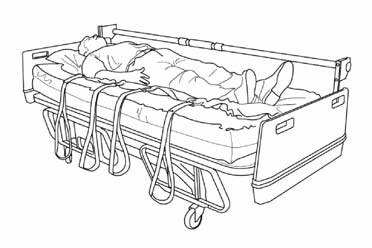 PTS gives caregivers the ability to transfer a non-ambulatory or limited-mobility patient safely and easily. 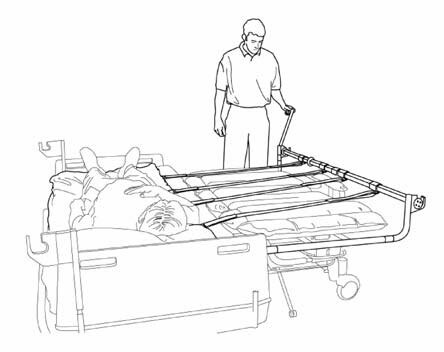 One caregiver can perform almost any lateral surface to surface transfer, whether it be from bed to stretcher, stretcher to exam-procedure table, bed to bed or other combinations. Performs the functions of stretcher, mobile chair and custom seating. Designed to be used in hospitals, nursing homes and assisted-living centers, the I-series chairs offer myriad functions. 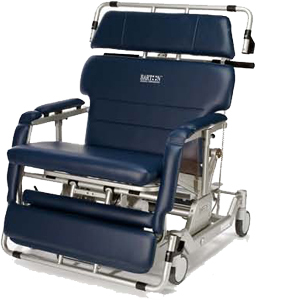 Comfortable seating and heavy-duty central locking and steering casters allow easy mobility that is safe for the patient and caregiver. With specialized padding, patient is able to stay in the chair and out of bed for longer durations with reduced risk of pressure ulcers. Customized features allow the chair to be set to the patient: adjustable head, leg and armrests, side supports, height adjustable. 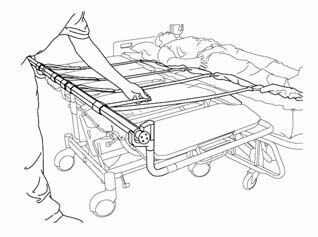 Allows for lateral transfers with one caregiver in conjunction with the Barton Positioning and Transfer System (PTS) . Welded, seamless cushions help reduce infection control concerns. 700 lb. chair adjusts manually and the 1,000 lb. has an electrical adjustment. Tilt-in-Space and recline functions are fully electric. Height: Reclined: 27.25" - 31.25. Overall Length: 74" (min) 84" (max) fully reclined with headrest and footrest fully extended. Attach the Velcro® straps to the TranSheets as follow: 1 near the head, 2 near the 3. 4. 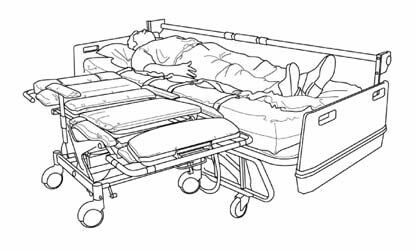 5. hip area, and 1 near the patient's heels. A fifth strap should be attached in the upper back area for patients weighing in excess of 2001b(90.9kg). Shorten each strap by doubling it on its Velcro as shown. This will ensure that the straps stay out of your way for the next few steps. Make sure the chair is in its upright position. 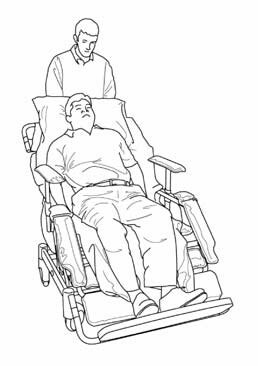 (Recline and Tilt-n--space mechanism) Align the chair so that it is correctly positioned to receive the patient and depress the central locking pedal which will automatically lock all four casters simultaneously. Place the chair into its flat position and raise the armrest, which acts as a side rail, on the non-transfer side of the chair. Rotate the chair brackets on the side opposite the transfer into the positions shown in the illustration. It is helpful when rotating the brackets into place to grasp the black plastic collars and pull while rotating the joints. Attach the transfer bar to the chair brackets. Locate the silver buttons on one end of the transfer bar. Place the opposite end of the bar into the chair bracket at the foot end of the chair. Depress both silver buttons and extend the bar until the other end fits into the bracket at the head of the chair. Make sure the handle-end of the bar is at the foot of the chair. Attach the transfer straps to the transfer bar by detaching the ends previously doubled and extending them toward the metal collars on the transfer bar. Thread each strap from the bottom through a slot in a metal collar on the transfer bar. lighten the straps by applying even tension on each and then secure in place by pressing the Velcro® together. Pull out and extend the crank handle from the end of the transfer bar. Bend your knees and keep your back straight. Smoothly tum the crank handle so that the straps roll OVER THE TOP of the transfer bar. Keep turning until the patient is centered on the chair. Remove the TranSheet. Roll the straps around the transfer bar and secure. Remove the bar from the chair brackets and store. Rotate the chair brackets back to their stored positions. Unlock the casters and slide the chair slightly away from the bed. Raise the armrest on the transfer side of the chair. Slowly raise the seatback and adjust armrests, backrest, headrest and footrest for comfort. 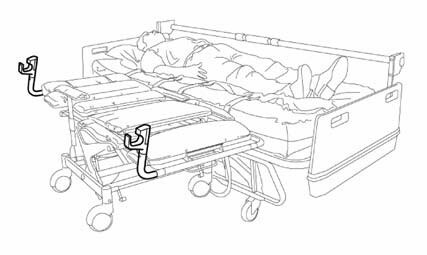 If necessary for patient safety, secure the patient into the chair with the Barton Quick Release Belt. To transfer from the chair to the bed, reverse the process.